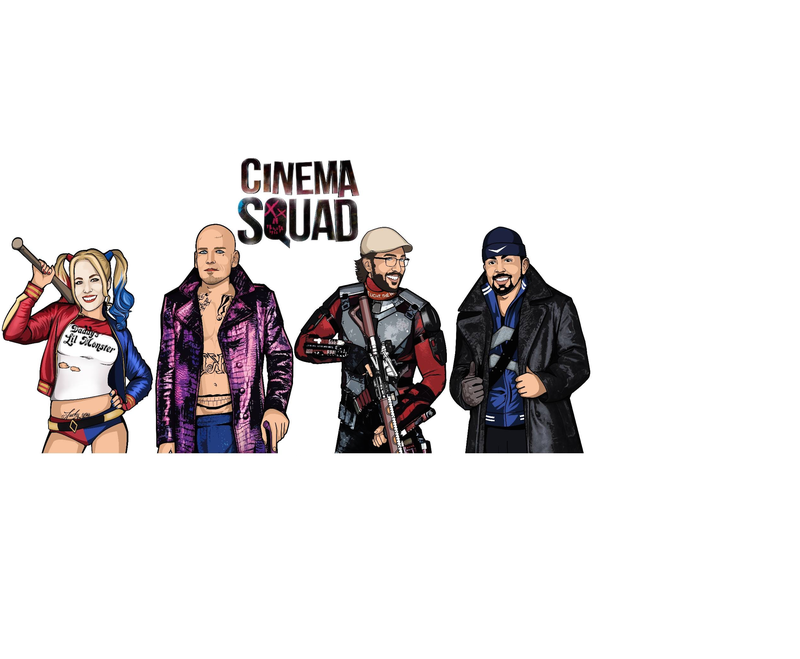 The Cinema Squad Podcast is a weekly Movie News Podcast brought to you by insiders currently working within the Film & Television industry. Sean Wathen is a screenwriter from Louisville, Kentucky who moved to Los Angeles in 2006 to pursue a writing career. While working in production offices such as “House, MD,” “24,” & MTV Studios, Sean pursued his love of writing. In 2014, he was named on the Tracking Board’s ‘Young & Hungry List – Top 100 Writers on the Verge.’ In 2015, his screenplay “The Field” was optioned to Dune Entertainment & Stormchaser Films, his script “Riverside” was optioned to Fotocomics Productions, his contained horror/thriller “The Gotham Hotel” was optioned to Artimage Entertainment, and his screenplay “Second Shot” was optioned to Status Media & Entertainment. In 2014, he was hired to adapt graphic novels for State & Cabrillo Productions, Inc. as well as Solipsist Films. Skye Wathen has been working in production for both television and film since 2006. Her credits include “Mission: Impossible – Rogue Nation”, “The Revenant”, and “MONEYBALL”. Born and raised in Los Angeles, Skye’s love of all thing Hollywood began at a very young age. She enjoys all things nerdy and crafty and is the proud fur-mom to Bruce, a shar pei mix puppy. Lee Perez is a native of South Texas and has been working in the entertainment industry since 2005. Working production on all types of entertainment from extremely low budget indie movies and reality TV to award winning scripted shows and huge blockbusters. His credits include “House M.D.”, “Drive”, “Hangover 3” and most recently “Straight out of Compton”. In 2013 he started DorkUp.com as a creative outlet for his love of all things nerdy. Joshua Dobkin was born in Wheeling, West Virginia, but grew up in Pittsburgh, PA. A month after graduating from Full Sail University, he moved to Los Angeles and started working as an on-set production assistant on “Without a Trace.” Shortly after that, he landed at “Scrubs” as the Art Department Coordinator and has since bounced around various tv shows & feature films including “Drive,” “Extant,” and “The Office.” In 2015, his screenplay “The Field” was optioned to Dune Entertainment & Stormchaser Films.